Angel hair pasta is perfectly suited for tossing with a light, butter-based sauce. 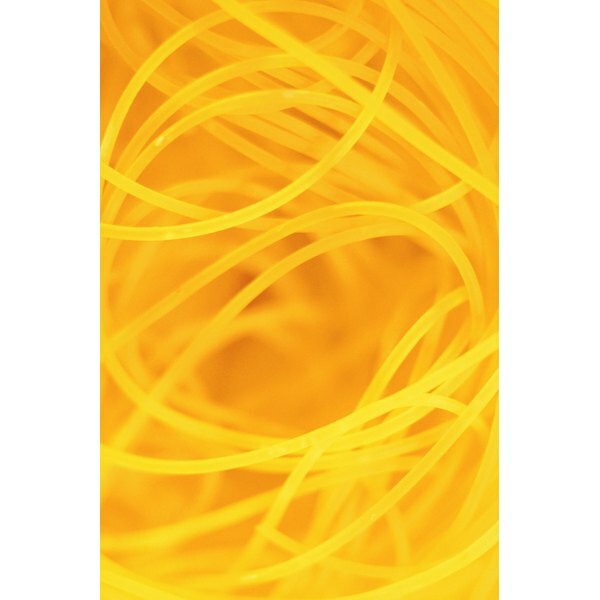 A thinner version of the familiar rod-shaped dried spaghetti, the delicate strands of capelli d’angelo, or angel hair pasta, are ideally suited for use with thin, delicate sauces. Although traditionally made with durum flour -- a refined by-product of durum wheat -- in response to consumer demand, manufacturers now offer a higher quality product made from 100 percent semolina flour. Unlike the conventional serving sizes of Italian-American cuisine, Italian chefs toss small portions of pasta with a light sauce, and serve it as a first course. For a nutritious entrée, accompany your angel hair pasta dish with a serving of lean protein, and a large, dark green salad. Place the butter into the skillet and melt it over medium-low heat. Add the garlic cloves and sauté for 1 minute. Remove the skillet from the heat and set aside. Fill the pasta pot three quarters full with cold water, approximately 4 qts. Bring the water to a full boil over high heat, and add the kosher salt to the pot. Stir the pasta into the pasta pot basket and allow the water to return to a boil. Lower the heat just enough to prevent the water from boiling over, but continue to boil. Cook the pasta for approximately 3 minutes, or until it is “al dente” -- soft to the bite. Remove the pasta basket from the boiling water and shake over the sink to drain. Pour the pasta into the skillet and toss gently to combine with the garlic and butter sauce. If your pasta and garlic sauce are too dry, you can add 1 cup of the pasta cooking liquid to the dish, and toss gently. Toss the pasta and garlic sauce with ½ cup of Parmigiano Reggiano cheese for additional flavor. For a healthier alternative, substitute 4 tbsp. of olive oil for half of the butter called for in the garlic sauce.